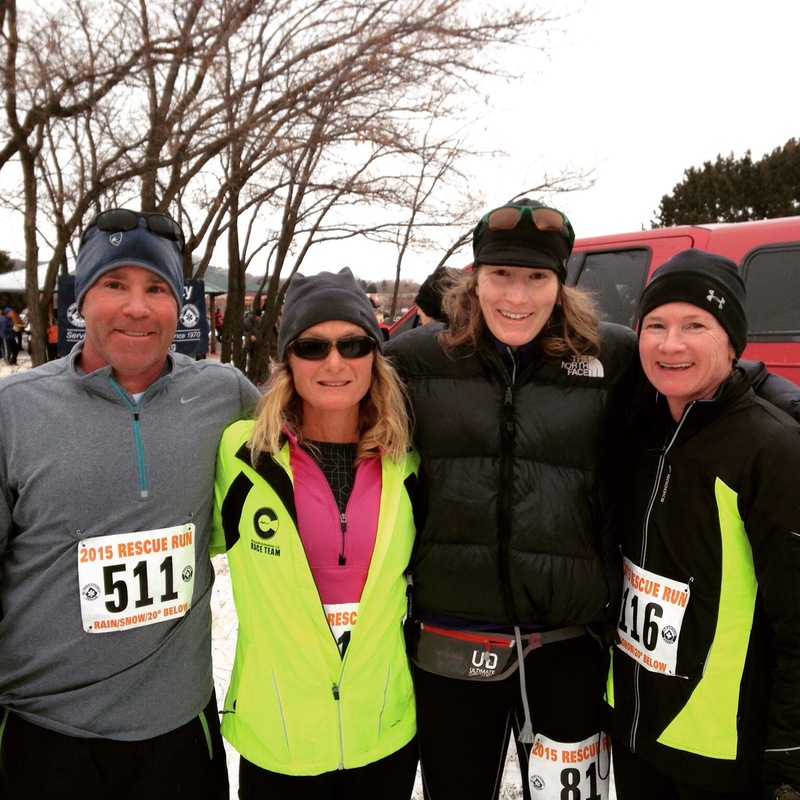 Rescue Run 10k Race Report | Dude, Where's My Pancreas? 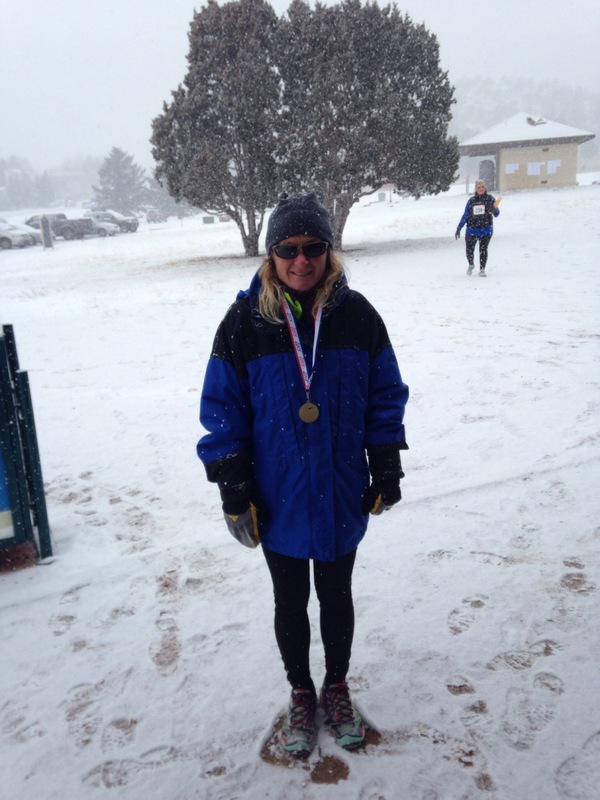 The big New Year’s Day running event in Colorado Springs is the Rescue Run 5k/10k. Stephen has run the 10k several times. Last year, we volunteered at packet pick-up and then ran the 5k with Peyton. This year, the weather forecast was so bitter cold that we decided it was too cold for Peyton to come and stand around at packet pick-up for two hours. So, Stephen and I both registered for the 10k and ran it solo. I had very poor sleep the night before because our neighbors decided to shoot off fireworks throughout the night. When we got up, it was freezing cold and I felt hung over despite not having had anything to drink the night before. I believe I said, “This is stupid. I don’t want to go to the race.” Or it was something along those lines with some more colorful language involved. Nevertheless, we loaded up in the car and off we went. At packet pick-up, my feet became so cold within minutes that they burned. I was afraid that if I stood outside for two hours, I would end up with frostbite. I had to sit in my car for a few minutes with the heat on full blast until I could feel my feet again. Remember, if you are running a race on a cold day, there are lots of volunteers who are even more cold and miserable than you are. I was thankful at that point that I was actually running and not working the whole race. Thank you to the many wonderful volunteers who stood out there for four or more hours so the rest of us could enjoy the race. 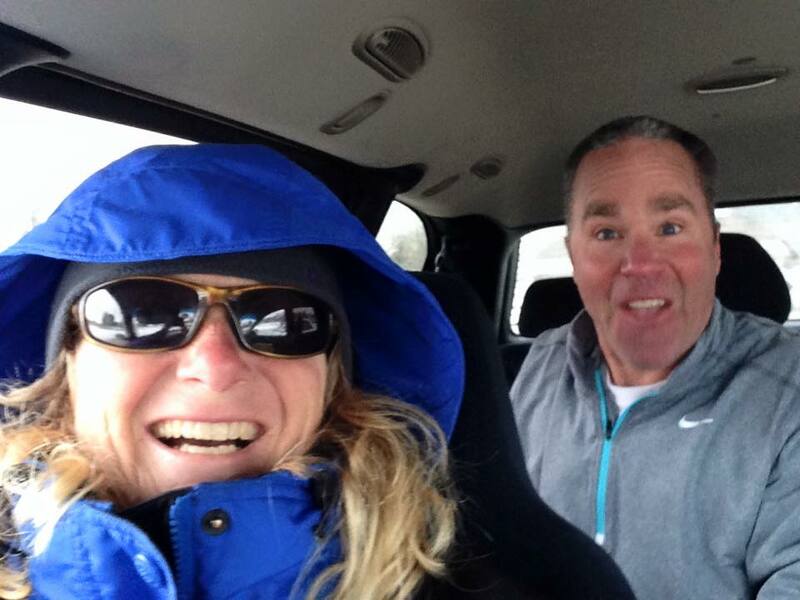 As Clark Kent transformed into Superman in a telephone booth, Stephen and I transform into runners in our minivan. 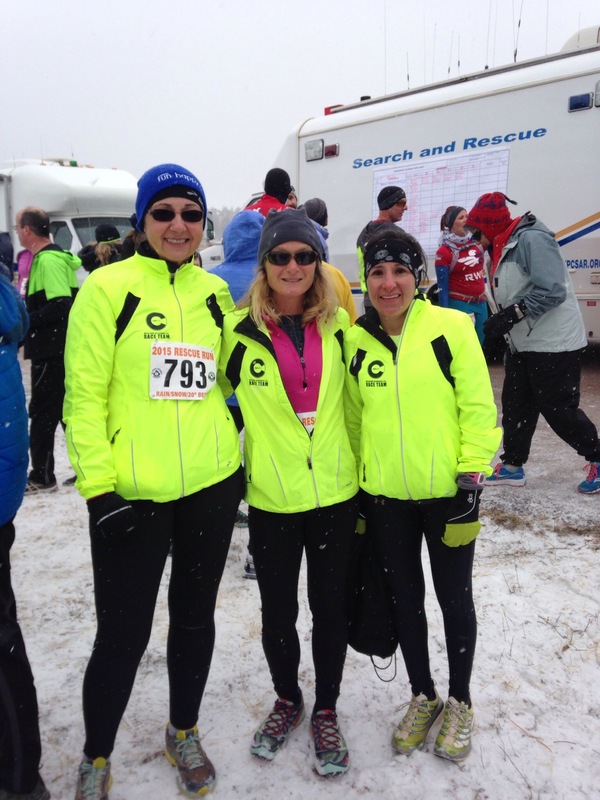 We shed our many layers of clothing, put on race numbers and made last-minute decisions about whether to wear traction for the race or not. We opted to go with no traction. Getting ready for the race in the van. Five minutes before the race start, Stephen and I jogged to the start line. There we saw tons of people we knew. What I love most about this race is seeing so many familiar and friendly faces on the first day of the year. New Year’s Day always feels so full of promise and joy. New Year’s brings the anticipation of new beginnings and fresh starts. Everyone seems to be happy on January 1. I love coming to the Rescue Run, even when it is freezing outside. The gun went off and I ran most of the first uphill mile with my friend Meghan. We chatted and caught up until she took off ahead of me. It was good to take the first uphill mile fairly easy because if I run that hill too hard, my whole race could be shot. The race itself is run half on roads and half of trails, though the trails are not technical. That said, there was enough snow on the trails to make conditions feel slow. My goal for this race was to run as fast as I could without doing damage to my recovering body. I ran comfortably hard for the conditions. What is most important to me about this race is that I did not feel horrible. The pain that had me limping and hobbling at the Rock Canyon Half-marathon just one month ago was so much better. I guess the PT and dry needling is already helping me. I am nowhere near 100% but this felt like an improvement to me. I haven’t cared about how relatively fast or slow I am. What I care about is feeling good at whatever pace I am running. Hopefully I can keep on this trajectory and continue to improve. In any event, I ended up finishing in 52:36, which earned me second in my age group. As we finished the race, it really started to snow. It was very cold, and I was sweaty, so I got chilled very quickly. I had to drag out my big ugly coat that I have had for probably 22 years or so. I don’t care if it is ugly. It is warm! The highlight of the race for me truly was getting to see all of my running buddies at the finish line. I love the running community. I really do. It makes me happy to be out with friends at a race. 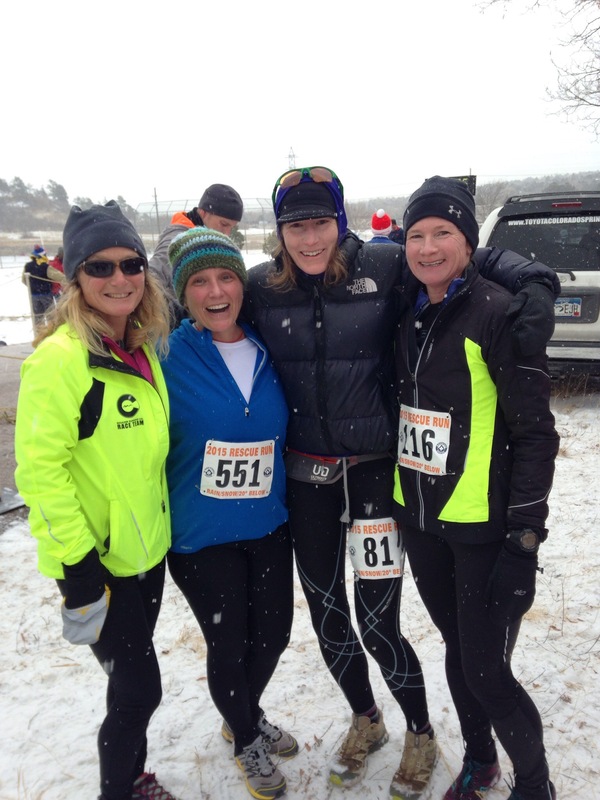 There is nothing I would rather do on the first day of a new year than be out with the other crazy runners. They make me happy and I just love them! This entry was posted in Friendship, Injury, Racing, Road Running, Running, Trail Running and tagged #10k, #2015, #friendship, #NewYear, #race, #racing, #RescueRun, #roadrunning, #runners, #running, #trailrunning by toniasmith897. Bookmark the permalink. You say that you “ran comfortably hard for the conditions.” What an interesting way to put it! I must steal the phrase “comfortably hard” from you. And Happy New Year, and congrats on a fine race. I was able to trade occasional comments/banter with other runners, but I would not have been able to run and talk the whole way. I never felt like I was going to puke or pass out! The jacket part cracks me up. I have a jacket from my college days. It stays at my mom’s because it’s never that cold here. Ugly, out of date and style but oh so toasty. Great race. Runners are a dedicated and slightly bent bunch. I knew you would “get it”! Very little is as cold as “Plattsburgh cold”. It amuses me to look so horribly ugly and yes feel so warm all at the same time. Congrats on your race! Glad to hear it is feeling good. My friend thought I was wearing Steve’s coat! Thanks, Peg! 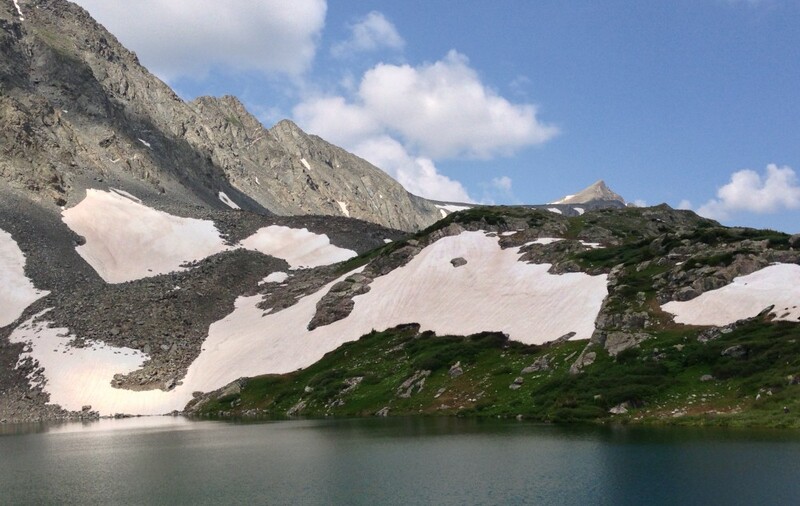 Pingback: Rescue Run Race Report | Dude, Where's My Pancreas?